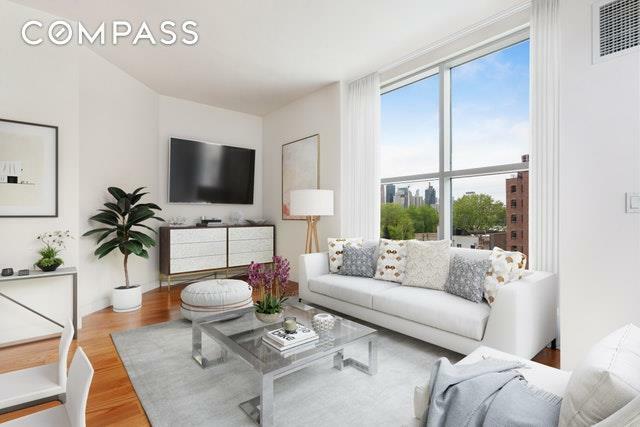 A MUST SEE beautiful 2bed 1.5bath, Approx. 933sf waterfront condo home with a 60sf private Balcony. Washer/Dryer in the apartment. Indoor garage is available for sale at additional cost. 421 Tax Abatement till 2025. 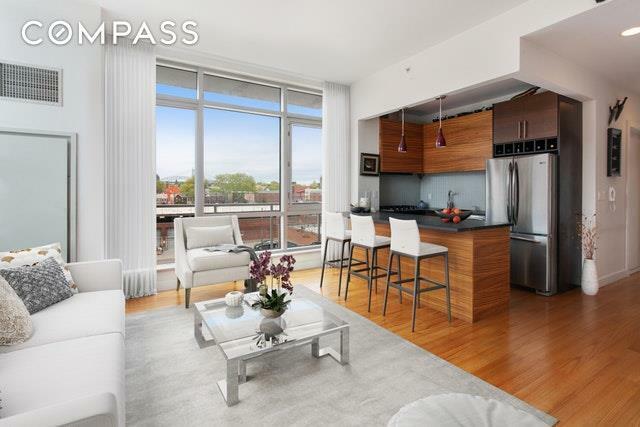 This Corner unit with two split bedrooms features floor to ceiling windows. 10 foot ceilings. North, West and South Triple exposures offer spectacular NYC Skyline with the empire state building and world trade center views and abundant all day long sunlight. Entry gallery greets you when entering into this unique home. Beautifully finished wood floor throughout the entire apartment. Central HVAC unit in each room. An elegant open chef's kitchen features zebra wood cabinets. GE stainless steel appliances include a five-burner cooking top, an oven, double door refrigerator, dishwasher and central ventilation system. Huge Natural Stone Counter Island offers separate dining area and additional storage shelves. The Oversized master bedroom has a large floor to ceiling window with great bridge and city views. It can easily fit in a king size bed. The spacious second bedroom with southwestern NYC Skyline, east river and Socrates Sculpture Park views. The windowed Master bathroom features radiant heated floors. In addition, it offers elegantly finished marble counters, tiles and a Jacuzzi deep soaking tub. 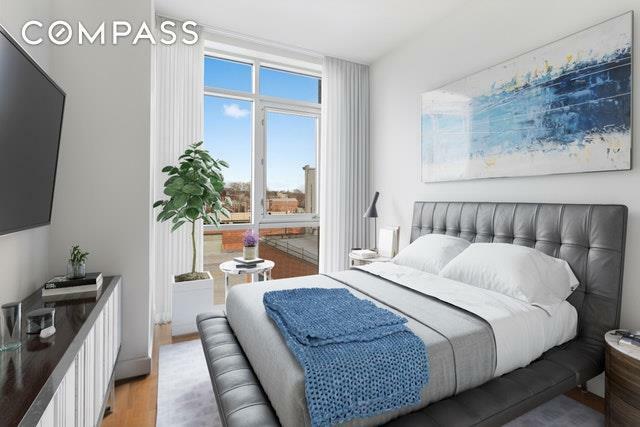 East River Tower Condominium features a full service 24 hours concierge, living in Superintendent, fitness center, landscape Court yard grill area, onsite indoor/outdoor garage parking and bike storage. There is much to enjoy in this culturally diverse neighborhood of Northwest Queens: Socrates Sculpture Park, The Noguchi Museum, The Museum of Moving Image, Gantry Plaza State Park in Long Island City, Astoria Park, Queens Bike Paths, Bike Lanes and Greenways, Costco, Roosevelt Island and wonderful local shops, cafs, bakeries, markets and restaurants. 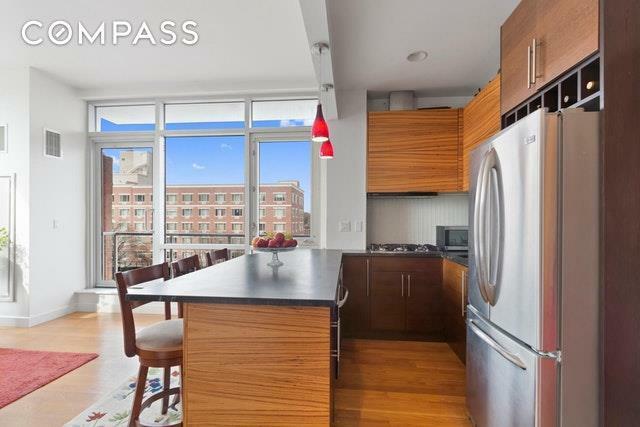 Short walk to N, W train Stations. Q103 and Q104 5 minutes bus ride will connect you to 7, F, M,and R trains. Manhattan Water Taxi Ferry line is in front of the building within 15 minutes to Midtown 34th Street and 30 minutes to Wall Street.